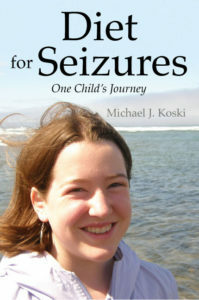 A seizure is an abnormal and unregulated electrical impulse that happens in the brain’s cortical gray matter. It temporarily interrupts normal brain function. It usually causes altered awareness of circumstances, unusual sensations, focal involuntary movements or spasms and involuntary contraction of voluntary muscles. About 2% of adults have a seizure at some point during their life, two thirds of that 2% never have a second one. The generic name for Carbatrol is Carbamazepine. Brand names include Carbatrol, Equetro, Tegretol, and Tegretol RX. These drugs are in a group called anticonvulsants. It’s not completely known how the chemical affects the abnormal neural impulses in the brain, but it’s thought to possibly block sodium channels, decreasing the activity of nerve cells and preventing them from firing abnormally. What is the history of Carbatrol? In 1974 Carbatrol was initially approved in the United States for use as an anti–seizure medication. It had been employed since the 1960’s for the treatment of trigeminal neuralgia. It’s now considered to be an important drug for treating partial and tonic–clonic seizures. It’s been manufactured by Shire Pharmaceuticals Group PLC. It is offered in generic form. What are common side effects from taking Carbatrol? At the beginning of treatment, side effects may include dizziness, nausea, unsteadiness, vomiting and drowsiness. Other side effects can be allergic reactions, blood pressure changes, bone marrow suppression, hives, rash, sensitivity to light and swelling. If any of these develop or change in intensity, your doctor should be contacted as soon as possible. Carbatrol shouldn’t be taken by those with a history of bone marrow or blood pressure problems. What is the average Carbatrol dosage and cost? This medication should only be taken with meals. The suspension should be well-shaken before using. The extended release (XR) tablets should never be crushed or chewed, but swallowed whole. If you miss a dose, take it as soon as you remember. But if it’s nearly time for the next dose, skip the missed one and go back to your regular schedule. If you miss more than one dose in a day, consult your doctor. Carbatrol should be stored in an airtight container, at room temperature and away from light and moisture. The usual dose for adults and children over 12 is 200 mg, (1 or 2 chewable tablets or extended-release tablets), taken two times a day, or 1 teaspoon 4 times a day. Your physician may increase the dose at weekly intervals by adding 200 mg doses twice a day for Carbatrol XR or 3 or 4 times per day for the other preparations. Dosage should not exceed 1,000 mg daily in children 12 to 15 and 1,200 mg per day for adults and children over 15. The usual daily maintenance dosage range is 800 to 1,200 mg.
For 200 mg of Carbatrol, 50 pills cost $5.83, 100 cost $10.61, 200 pills cost $19.10. For generic Carbatrol XR 200 mg, 30 pills cost $12.30, 60 cost $22.36, 90 are $2.71 and 120 cost $40.26. Note: Click here for alternative and dietary options for seizure management.